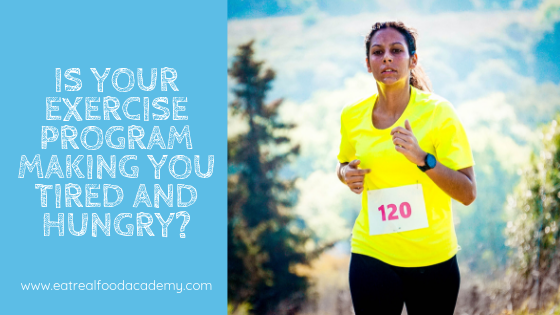 Is your exercise program making you tired and hungry? If you’re following the mainstream advice to “accumulate at least 150 minutes (2.5 hours) of moderate-to-vigorous physical activity per week,” then you may struggle with feeling tired and hungry most of the time. You may even be carrying a few more pounds than you were last year or last decade. Few things make my blood boil as much as mainstream health recommendations, and this exercise guideline is no exception. 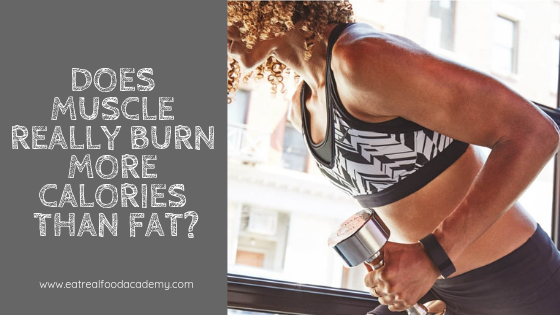 Does muscle really burn more calories than fat? You may have heard that muscle burns more calories than fat and that building strong muscles through resistance training can significantly increase your metabolism. The truth is that a lean, muscular body burns only slightlymore calories than a body with higher fat content but the same weight. A pound of muscle burns approximately 6 calories per day, while a pound of fat burns two calories per day. Consider a 200-pound person who dramatically changes their body composition by dropping 40 pounds of fat (40×2 = 80 calories per day subtracted from their metabolism) and gaining 20 pounds of muscle (20×6 = 120 calories added). Their total daily caloric expenditure would only increase by a whopping 40 calories! 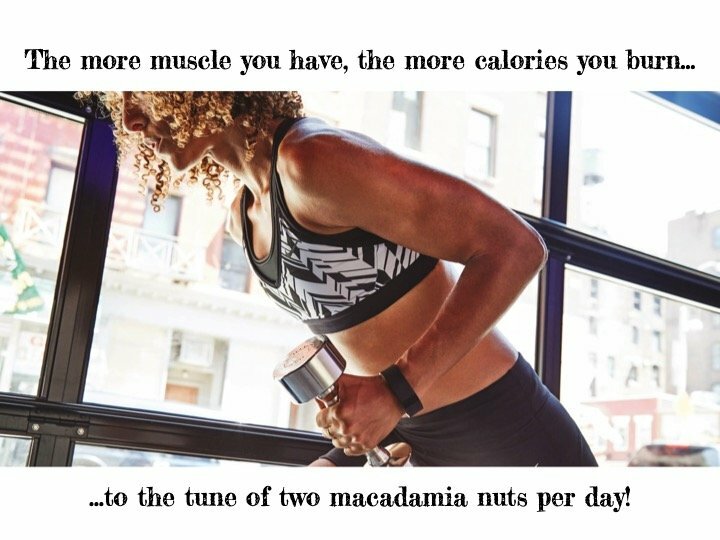 So it’s true, “muscle burns more than fat”…to the tune of two macadamia nuts per day. Exercise because it feels good to be in a body that can move. Exercise because it feels good to be lean and strong and fit. But please don’t exercise so you can eat whatever you want. 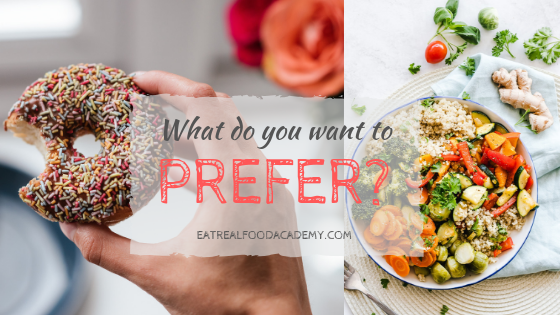 What do you want to prefer: Sugar or real food? In the world of psychology, there is a well-known phenomenon – called the mere-exposure effect – by which people tend to prefer the things they are frequently exposed to. If you eat a lot of sugar, you’ll prefer a lot of sugar. If you eat a lot of real food, you’ll prefer a lot of real food. 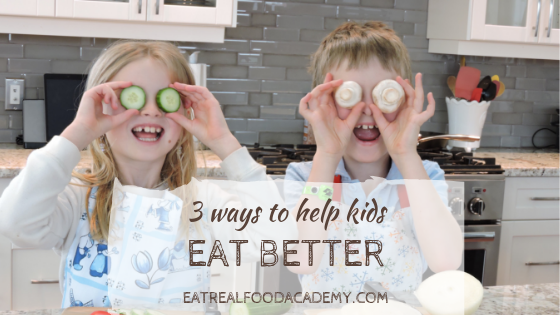 People often ask my husband and I how we get our kids to eat real food. While we don’t pretend to be experts in this area, we are certainly happy to share what’s worked for us in hopes that it will be helpful for you. First and foremost, we provide only real food for them to eat. We don’t bring junk food into our house, so they’ve never learned to associate home with eating junk. It’s one thing to tell kids to eat their veggies. It’s another thing entirely to model that for them. 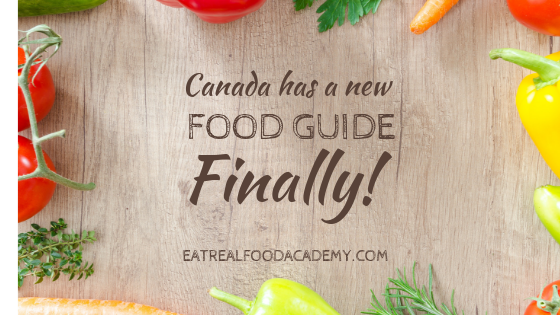 Canada has a new Food Guide. Finally! Our much-anticipated new food guide is officially out, and while not perfect, it is a giant step in the right direction. Whenever I’m working with clients, I teach them to look for what’s right rather than what’s wrong as a way of developing an abundance – or growth – mindset. In that spirit, I’m going to start with everything I love about the new guide. 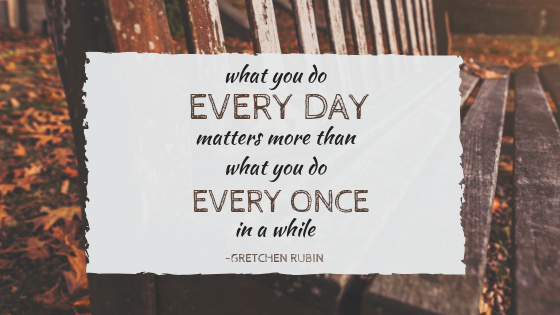 Are you going about habit change all wrong? Now is the time of year many people set goals and develop new habits. Did you know, though, that are wildly different schools of thought on the best way to approach habit change? Want a Free Pass Out of Food Prison? 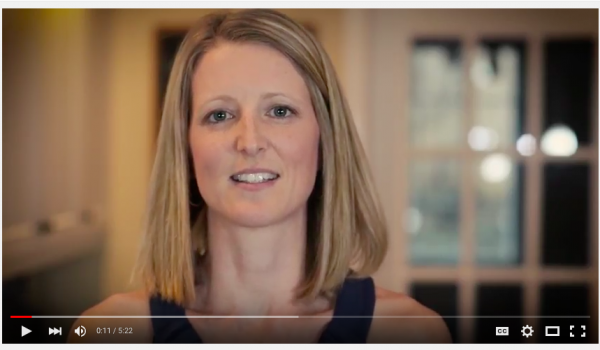 Subscribe to my 5-minute video training series on Overcoming Emotional Eating and learn how to transform your relationship with food. 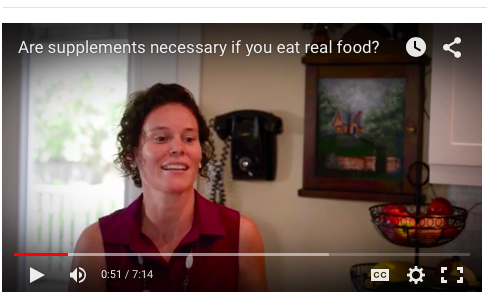 Are supplements necessary if you eat real food? 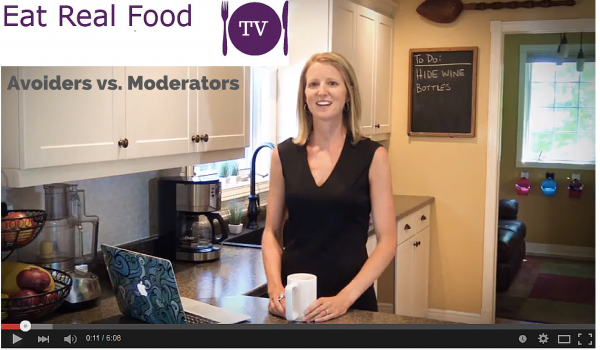 Eat Real Food TV is officially here! I was surprised by how easy the program was and how fast my cravings disappeared. Out of everything I have done or read, eating real food makes the most sense to me. Week 1 provided the encouragement to get started and the science behind the Why's. Thanks for a great program! You not only live what you teach but you do it with such passion and support. This course has transformed my life! My SI joint stopped hurting and I feel amazing. The whole program has really clicked for me and it all makes perfect sense and is very doable. I thank you both for sharing your knowledge. Thank-you for guiding me to a healthier way of eating. This is my lifestyle now. Since day 3 hunger pains left and I have never felt hungry or deprived since. This has completely changed my need for food. Not feeling like I just need something to eat NOW and making very poor choices is allowing me to fuel my body properly, not just make the hunger go away. ERFA has changed the way I look at, think about, and prepare food. I've had more results in this short time than years in the gym. I feel great and not constantly hungry anymore. I have been receiving many compliments regarding how fit and strong I look. 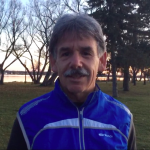 I have had dramatic changes in my health in the last 6 months following this program. I used to suffer from significant PMS symptoms including bloating, sugar cravings, and mood swings. I now don't have ANY of those symptoms and the bonus has been that I have lost quite a bit of weight. I have learned how much sugar and simple carbs really affect me emotionally, physically, and mentally. You are both brilliant women with so much passion and knowledge to share. Thank you for creating such a powerful program. I feel like I have done every “diet” out there, but eating real food is the real deal. And with so many tasty things to eat, I haven’t felt deprived at all. It has been a great journey.